The locally-based Sussex Futsal Club continues to occupy second place in its debut FA National Futsal League season. 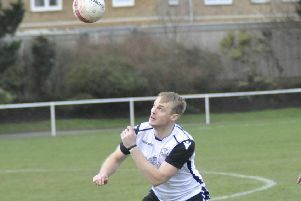 Sussex made it 10 wins out of 14 in the National Super League with a 6-4 victory at home to Oxford City Lions on Sunday. Sussex were 2-1 up at half time in a frantic game. Sussex later came under pressure when Oxford deployed the ‘fly keeper’ tactic, but Sussex hold on to earn a much-needed win after two consecutive defeats. Jimmy Elford and Jarrod Basger scored two goals, Alberto Camara chipped in with one and an own goal completed Sussex’s tally. The Sussex squad also included Matt Cruttwell, Zak Boutwood, Doug Reed, Rob Ursell, Tobias Seeto, Charlie Kuehn, Pedro Bernardini, Diogo Da Silva and Marcelo Graca. Sussex are ahead of third-placed Loughborough Futsal Club on goal difference and 12 points adrift of unbeaten leaders London Helvecia Futsal Club. Sussex have eight league fixtures remaining, starting with a trip to Reading Futsal Club on Sunday March 10.